For 12 mos. w/ 24-mo. DIRECTV agmt., qual. CenturyLink svc. subscription(s) and combined billing. $105.00/mo. in months 13-24 (subject to change). Regional Sports Fee up to $7.49/mo. is extra & applies. 185+ digital channels, including local channels in over 99% of the U.S.
For 12 mos. w/ 24-mo. DIRECTV agmt., qual. CenturyLink svc. subscription(s) and combined billing. $128.00/mo. in months 13-24 (subject to change). Regional Sports Fee up to $7.49/mo. is extra & applies. 250+ digital channels, including local channels in over 99% of the U.S.
For 12 mos. w/ 24-mo. DIRECTV agmt., qual. CenturyLink svc. subscription(s) and combined billing. $181.00/mo. in months 13-24 (subject to change). Regional Sports Fee up to $7.49/mo. is extra & applies. 330+ digital channels, including local channels in over 99% of the U.S.
Add DIRECTV to your CenturyLink service to get one single monthly bill. 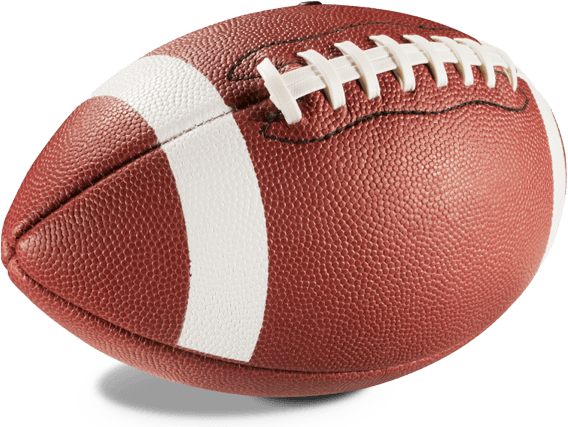 CenturyLink and DIRECTV brings together the best in Internet and sports. Get a High-Speed Internet connection from CenturyLink, and cheer on your favorite sports teams with programming from DIRECTV. The #1 satellite TV service in the country, DIRECTV makes a great addition to CenturyLink's solid lineup of home services and can be added to an existing account with a single phone call. If your seasons revolve around sports, you need DIRECTV. Only DIRECTV offers the 2019 season of NFL SUNDAY TICKET included at no extra cost. * DIRECTV is the go-to satellite TV provider for your sports needs. NFL SUNDAY TICKET app** includes extras to stream up to 4 games at once with Game Mix† and track as many as 20 players' progress for your fantasy football team with Player Tracker. For true sports fans, the choice is simple: DIRECTV. *With CHOICE Package or above. Subscription renews automatically each season at then prevailing rate (currently $293.94/season) unless you call to cancel prior to the start of the season. Req’s you to select offer. Additional equipment required. Additional & Advanced Receiver fees apply. Access to programming based on package selection. Program must air in HD to record in HD. **Compatible with iOS phones/tablets, Android phones/tablets, Windows phone/tablet, Mac, PC, PS4, AppleTV 4th Gen+, Xbox One, Roku, Chromecast, Sony PS4, Sony PS3, Amazon Fire TV, Samsung TV. Limited funcionality available on Apple Watch, cannot view games. Access your DIRECTV account, control your DVR, and watch recorded programming from anywhere on any device*, as long as you have a wireless signal. Even stream live TV! Plus, access On Demand with over 30,000 shows and movies instantly**. Catch up on episodes you might have missed and revisit favorite classics, all at no extra charge. Loaded with extras, DIRECTV has more full-time HD channels than any other satellite provider — over 200 and makes it easy to watch TV whenever, wherever. **Availability of channels varies based on programming package subscription. 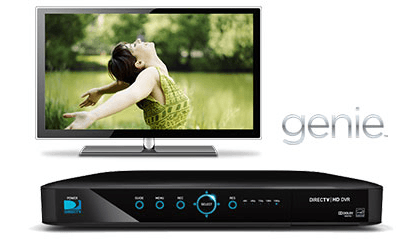 The Genie is the most advanced HD DVR available from DIRECTV and can serve your entire house. Record up to 5 shows at the same time, store up to 200 hours of HD programming, or 1,500 of your favorite episodes*, and play back recorded shows from any room of your house. The Genie also lets you start watching TV in one room, pause, and continue watching in another room. Now that's any-time entertainment! *Actual recording capacity varies based on type of programming being recorded. **Requires one TV connected to a wired Genie HD DVR and a Wireless Genie Mini for each additional TV. Not available on the television which is connected to the Genie HD DVR. Actual range of wireless signal varies and may be affected by several factors including, but not limited to: home construction materials, obstructions, electromagnetic interference and other environmental factors. Limit three remote viewings per Genie HD DVR at a time. For residential use in a single household only.